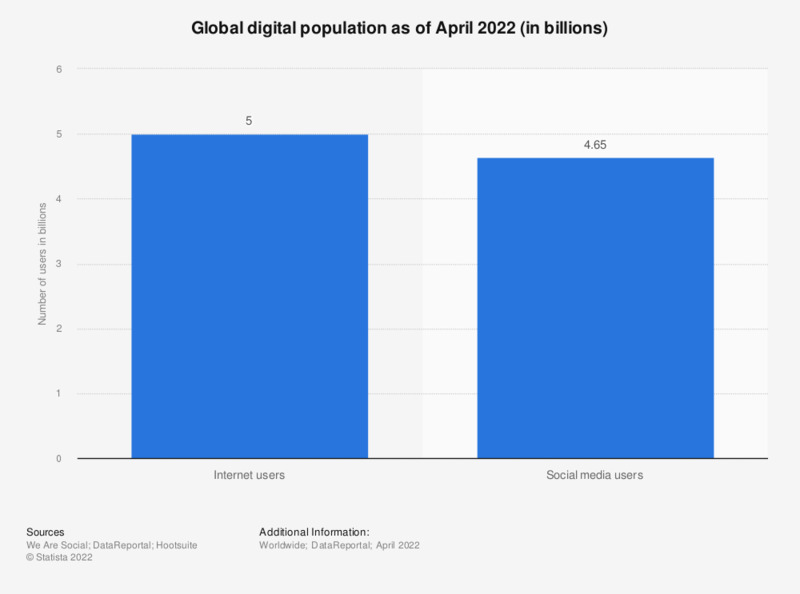 This statistic presents the digital population worldwide as of January 2019. As of the measured period, almost 4.4 billion people were active internet users and 3.5 billion were social media users. China, India and the United States rank ahead all other countries in terms of internet users.